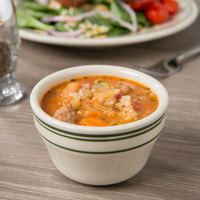 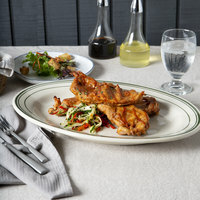 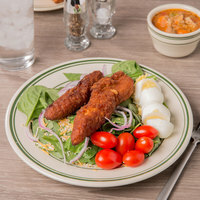 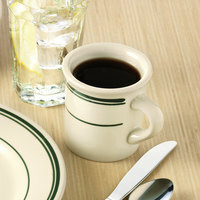 World Tableware Viceroy stoneware dinnerware has an old-fashioned design that is perfect for your diner or retro restaurant. 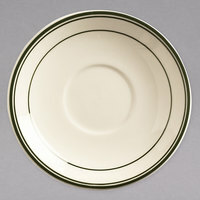 These pieces feature a warm and inviting ivory color with green bands running around the rims, which give them a classic and nostalgic appeal. 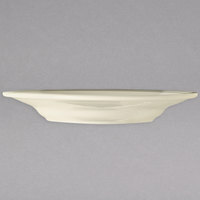 Plus, its stoneware construction gives this collection a hefty and professional feel. 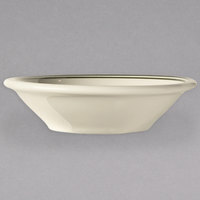 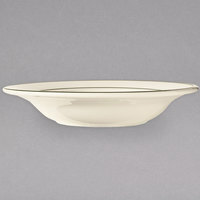 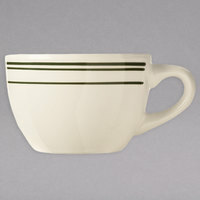 Also make sure to check out other great items from World Tableware. 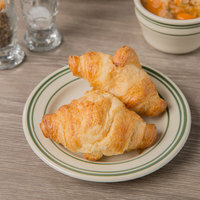 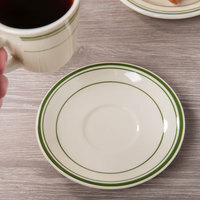 Use the nostalgic appeal of World Tableware Viceroy American white stoneware dinnerware to serve your favorite breakfast and lunch foods in your diner, restaurant, or bistro. 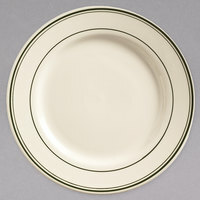 Their bright ivory color is accentuated by green bands around the rim, which together give these pieces a classic and traditional look. 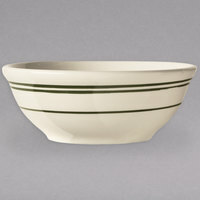 Plus, because these products are stoneware, they have a partially vitrified surface that is resistant to stains, scratches, and chips. 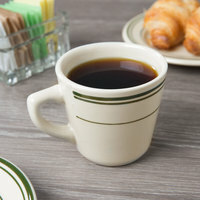 For other high-quality products for your table, check out our napkin dispensers, plastic tumblers, and Lexington flatware. 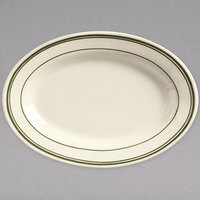 If you're wondering where to buy World Tableware Viceroy ivory stoneware dinnerware, we have a large selection of World Tableware Viceroy ivory stoneware dinnerware for sale at the lowest prices.